This is our Big Heart, Wild Spirit Adventure package. 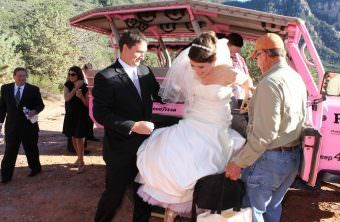 Merry-Go-Round is the Sedona wedding site. 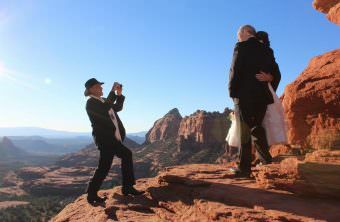 This is an awesome location. 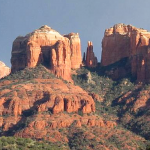 Perched high atop Schnebley Hill with red rock vistas spreading before you. 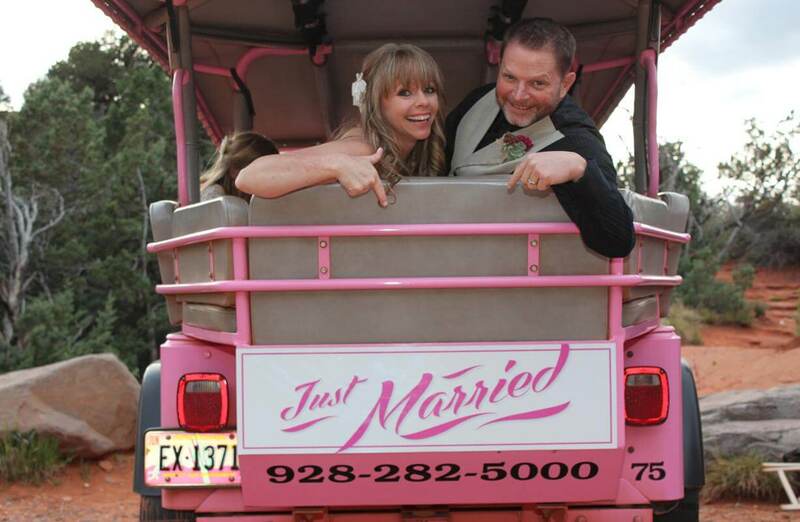 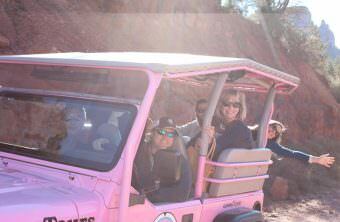 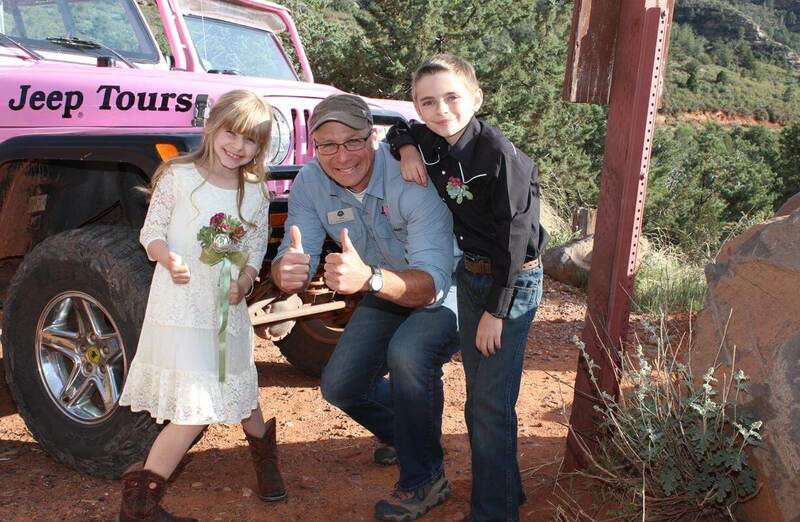 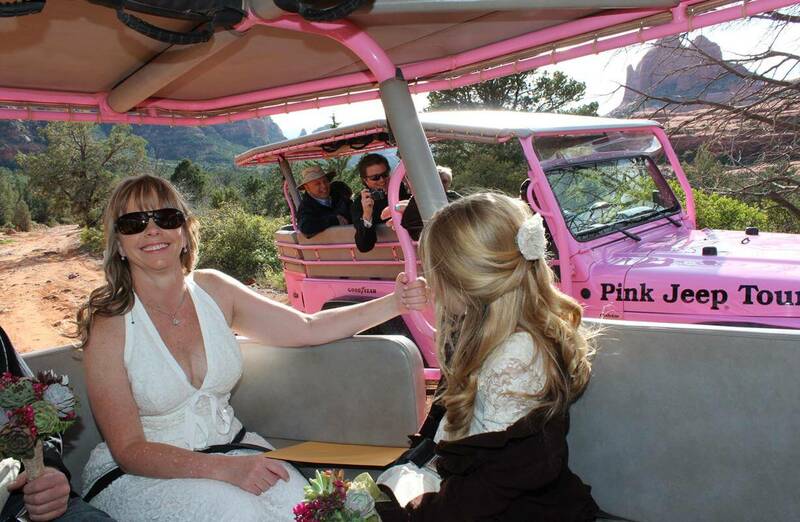 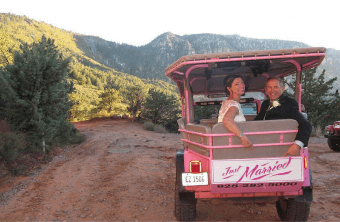 Your chariot will be one of Sedona’s famous Pink Jeeps. 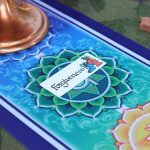 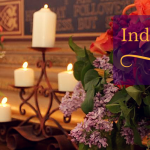 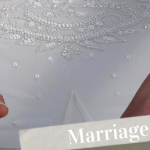 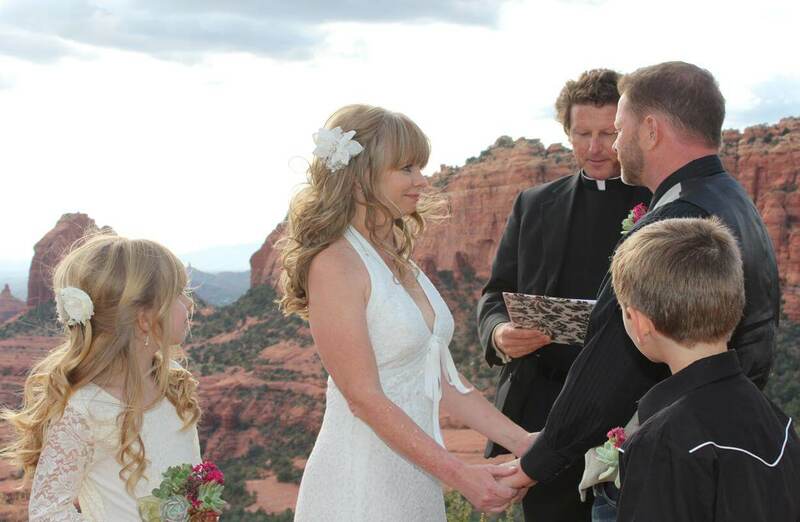 An ordained non-denominational minister to perform your ceremony Consultation by phone, email or in person to create your customized wedding ceremony written just for you and ranging from traditional to contemporary, reflecting your own personal taste. 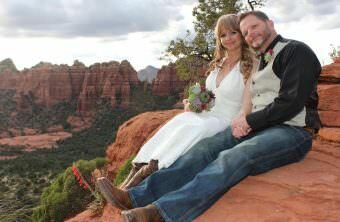 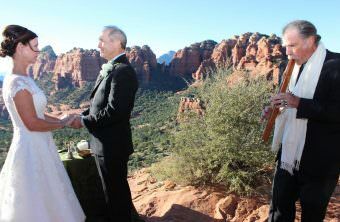 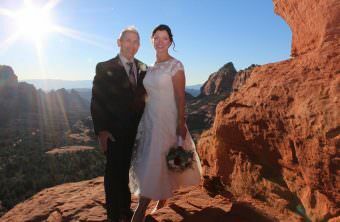 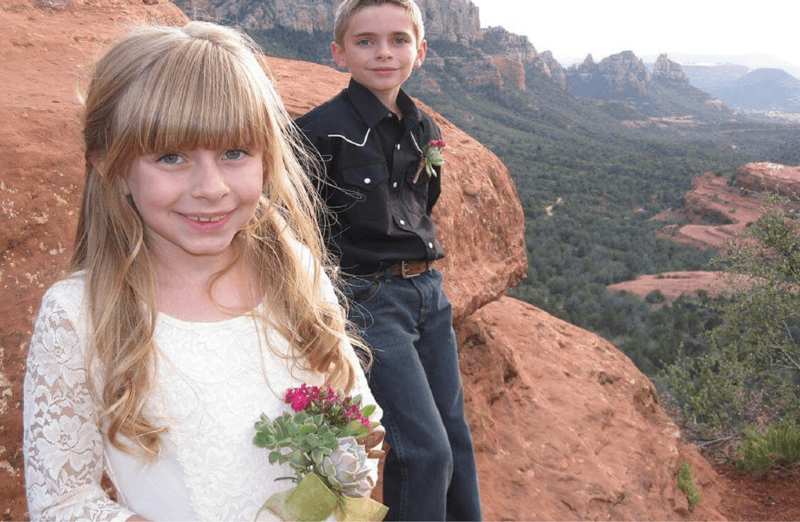 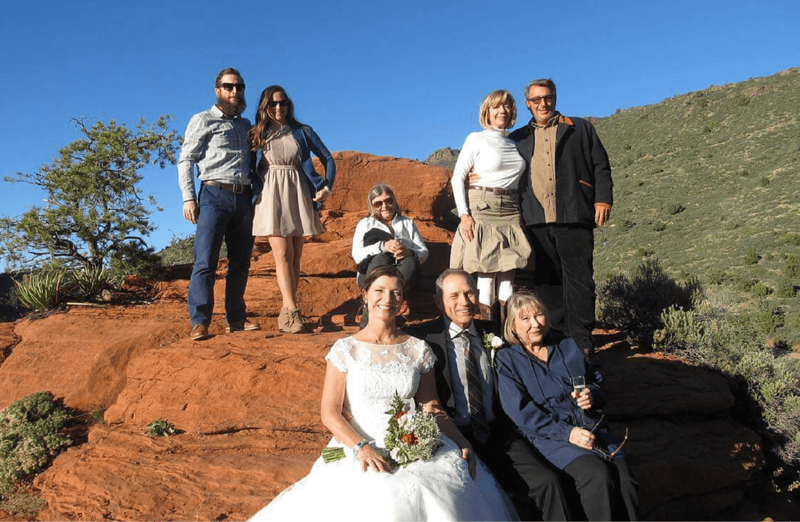 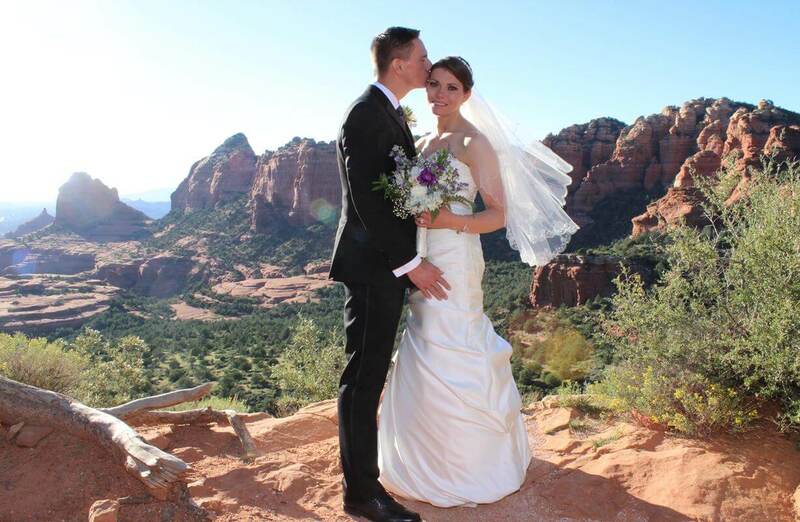 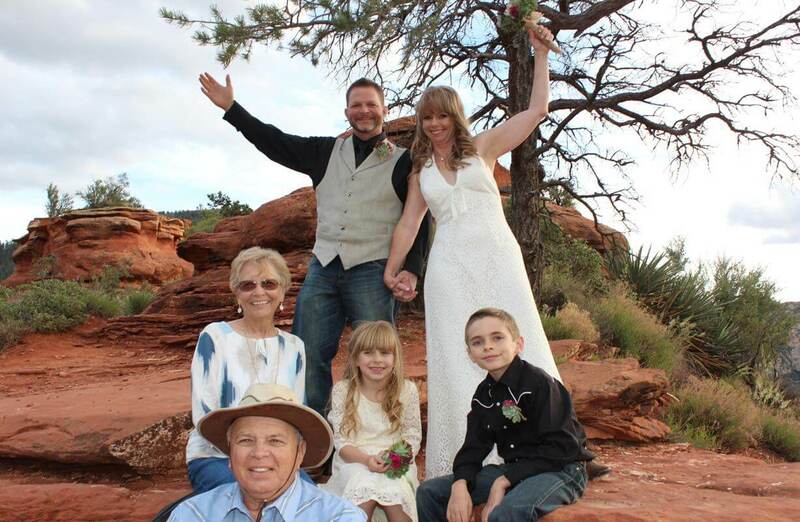 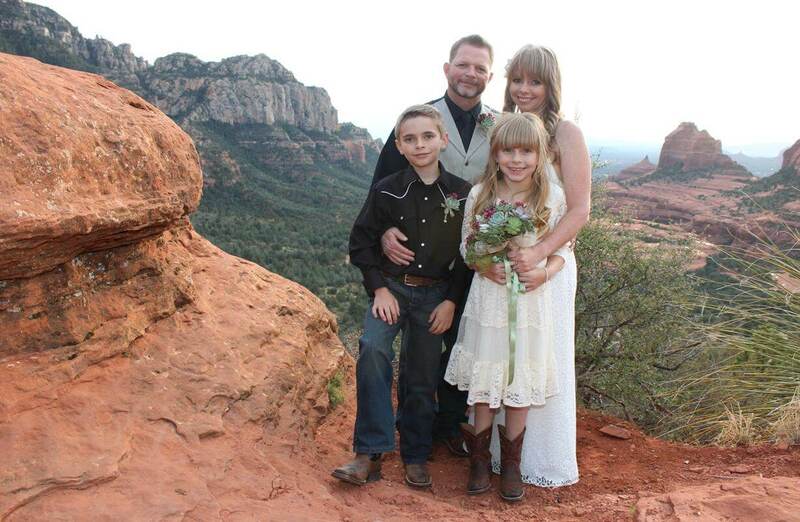 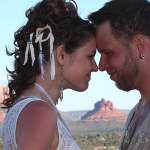 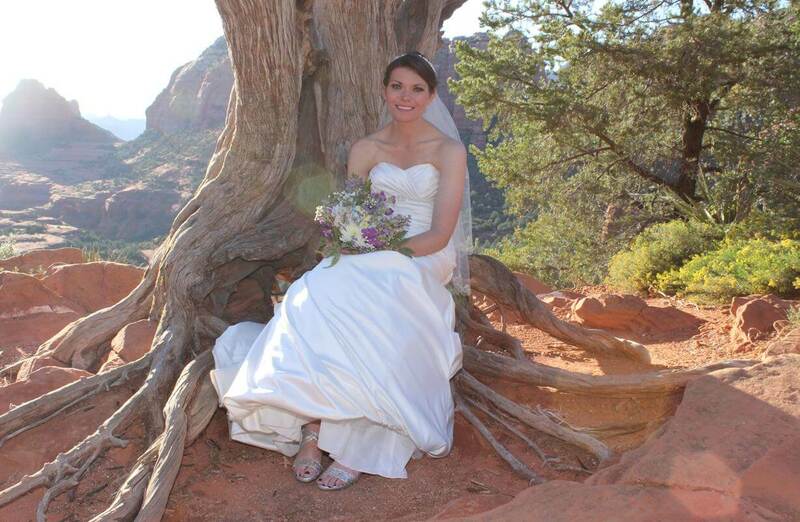 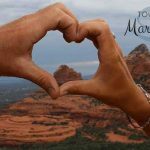 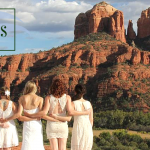 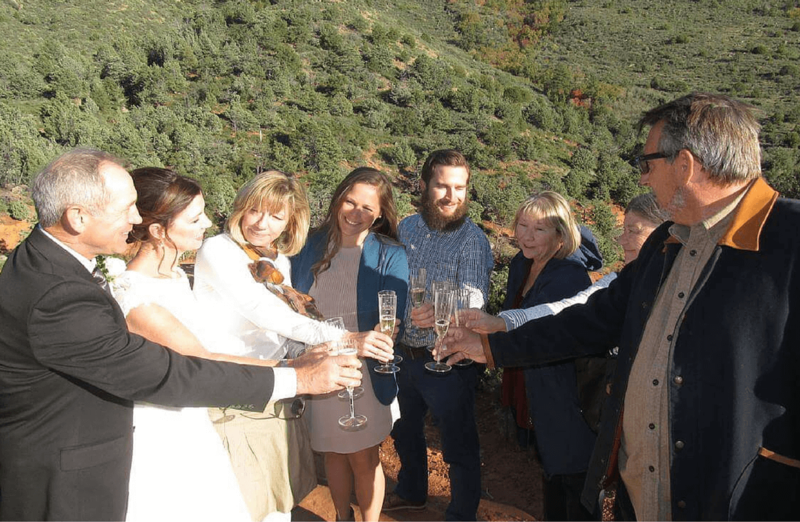 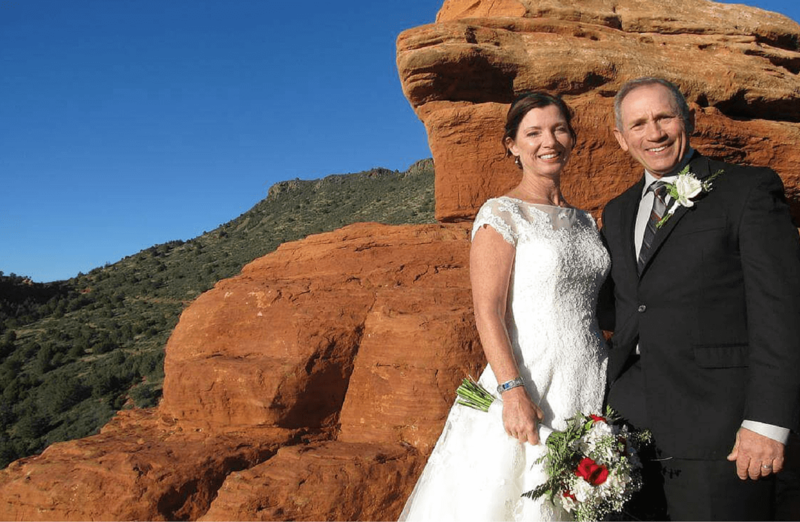 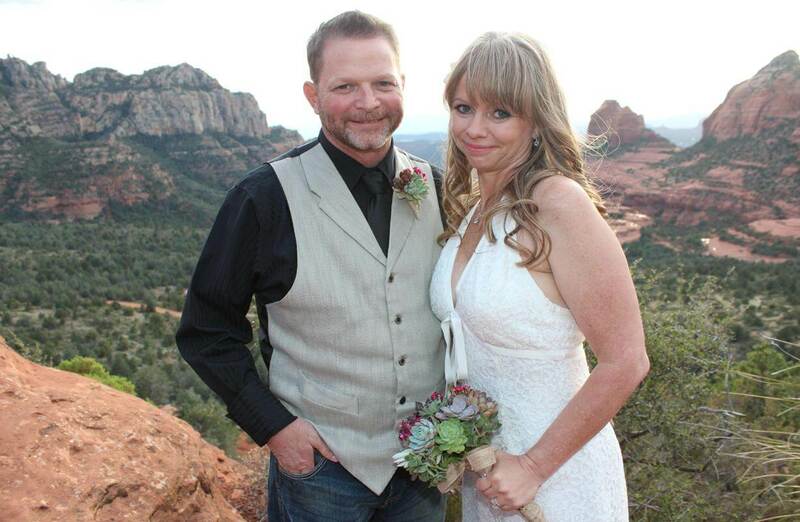 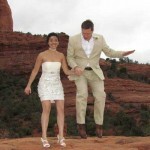 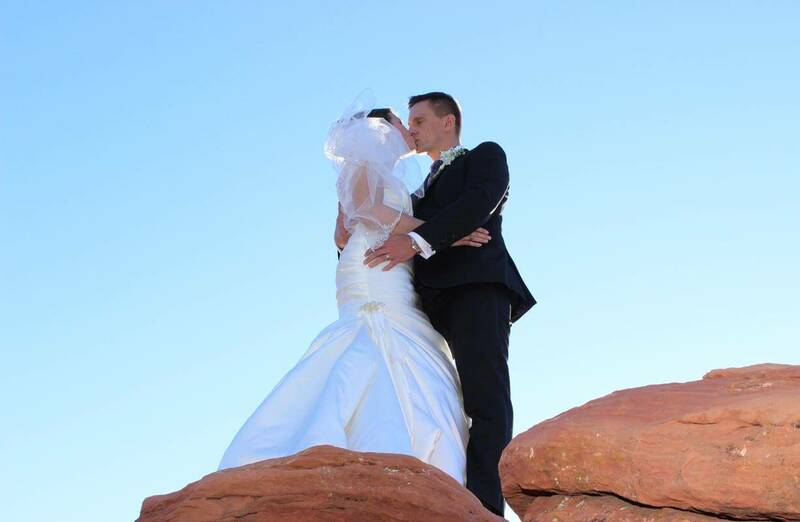 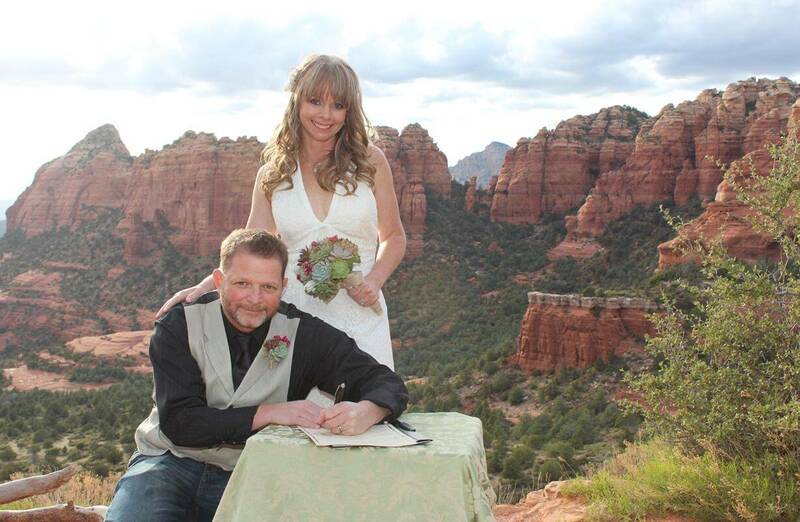 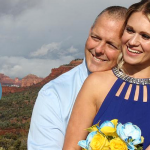 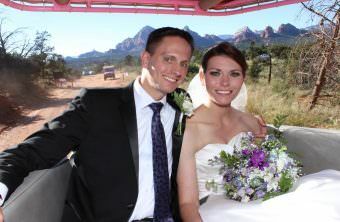 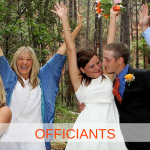 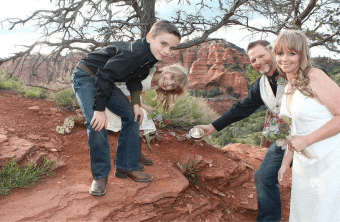 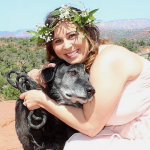 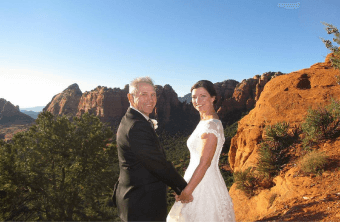 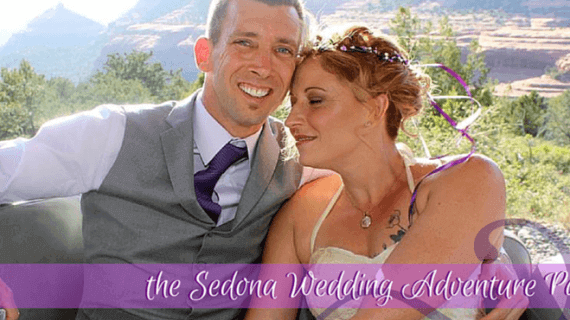 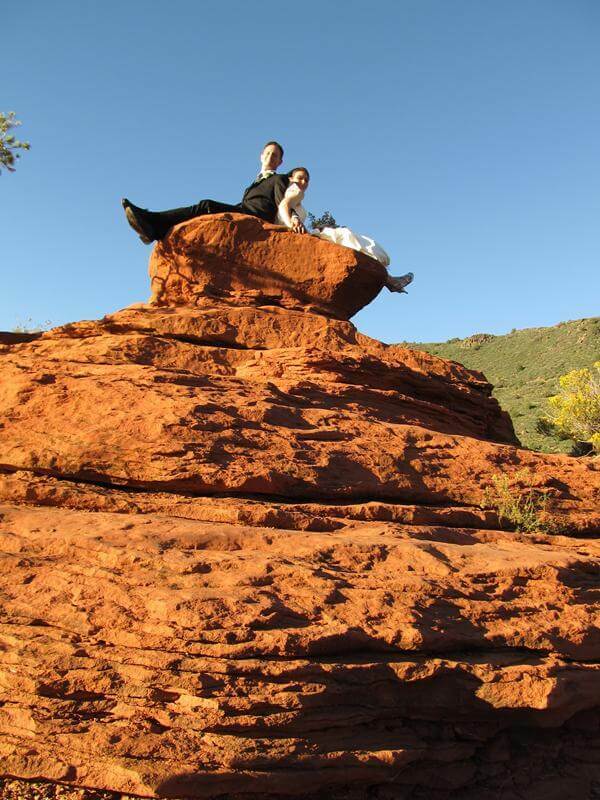 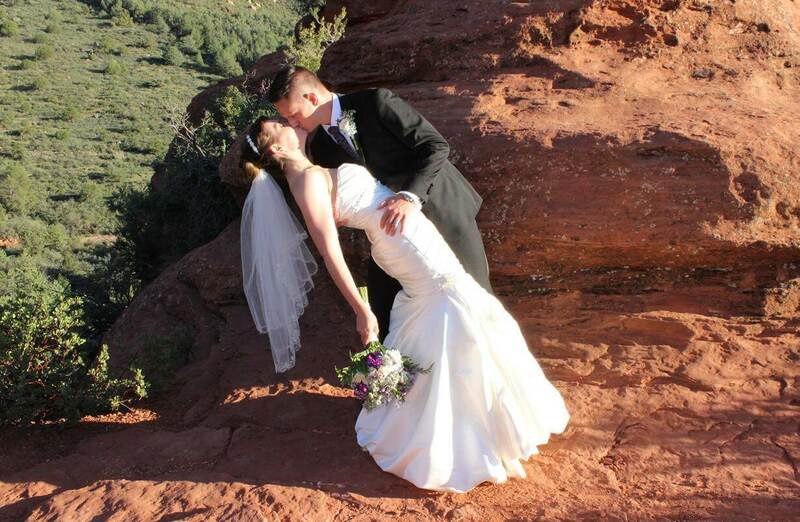 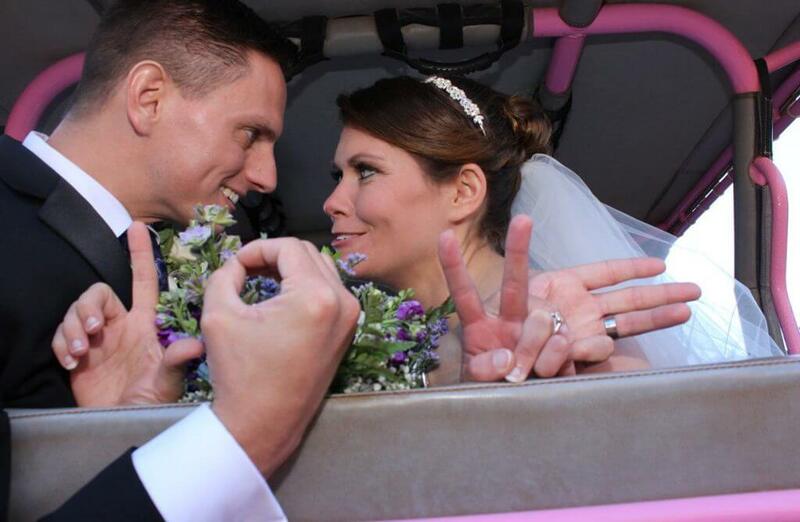 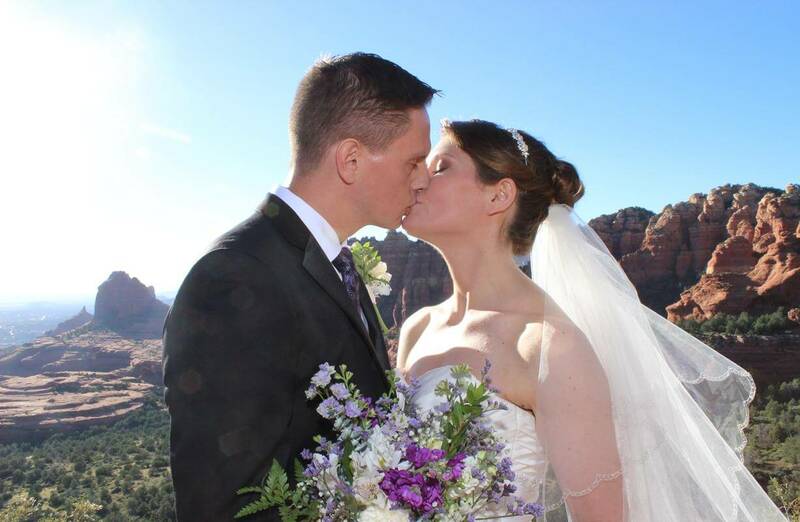 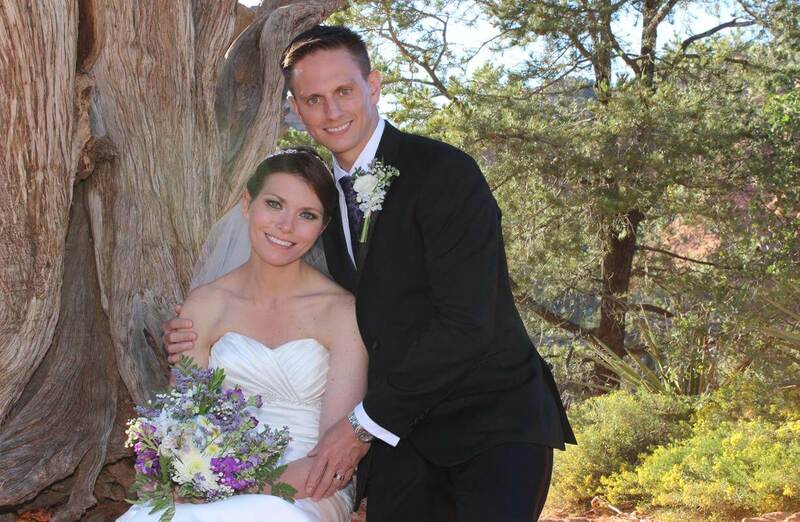 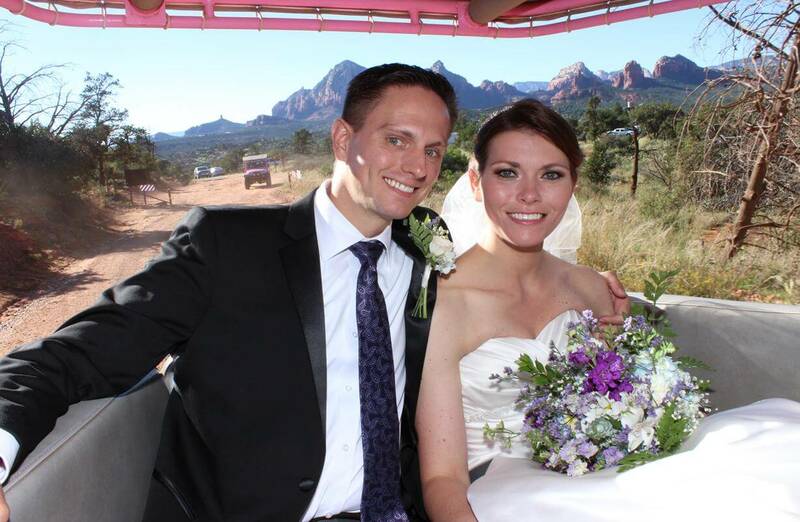 The Sedona Adventure Wedding Package Is the Best Deal in Town! You can book additional Jeeps for your guests for $880 each. Each Jeep holds six guests. A full service videographer may be added for $750 plus one seat in the Jeep. 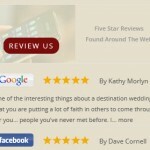 This is a perfect package for an elopement, too, and includes all the witnesses you will need.